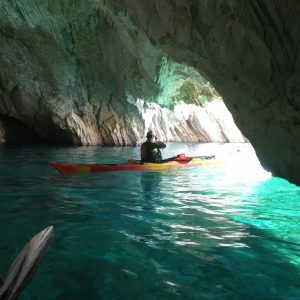 A sea kayak adventure, to discover the unique beauty of Lefkada Island small archipelago. 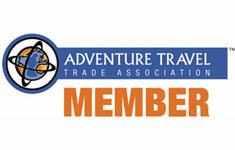 A distinct 8-day journey with successive visits to the Prince’s Islands and Tilevoides Complex. 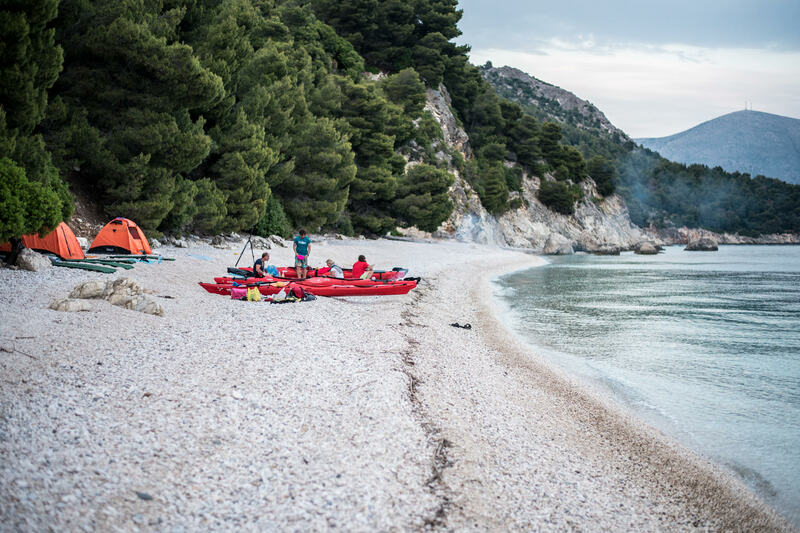 Sea kayak at the islands of Madouri, Scorpio, Thilia, Meganisi, Kalamos and Kastos. Snorkel in the hidden beauties of the seabed, or just swim in the crystal blue waters of the archipelago and relax on picturesque remote beaches. Get in touch with the local culture and savour tasty traditional dishes. 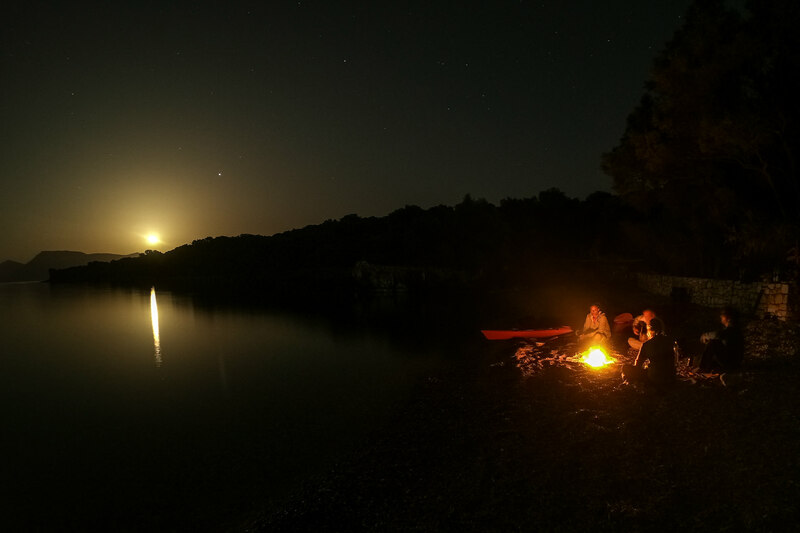 Experience unforgettable nights around the campfire, and overnight in picturesque settlements or remote beaches with our camp equipment. 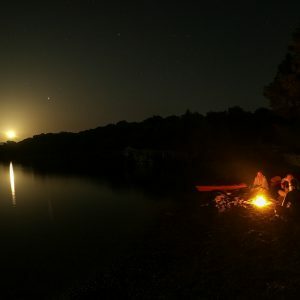 Enjoy authentic moments in nature. Arrival in Mikros Gialos traditional settlement near Poros village in Lefkada. 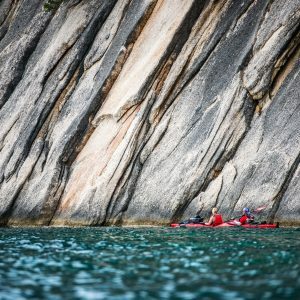 After settling into your rooms, join a welcome dinner at the traditional tavern and meet your sea kayak guides and the rest of the team. Overview of the trip itinerary. Overnight in guesthouse. 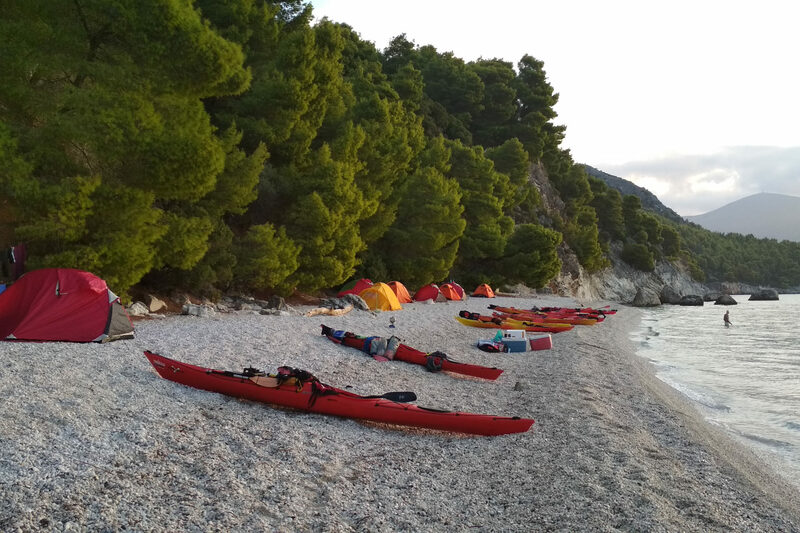 Breakfast and departure with our sea kayaks from the small pebble beach of Mikros Gialos. 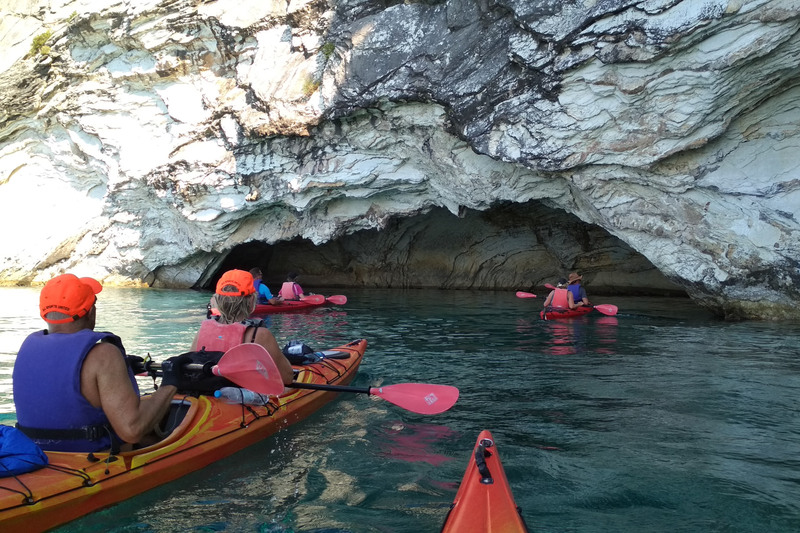 We start with the exploration of the sea caves scattered in and around Rouda bay on the eastern coast of the island. 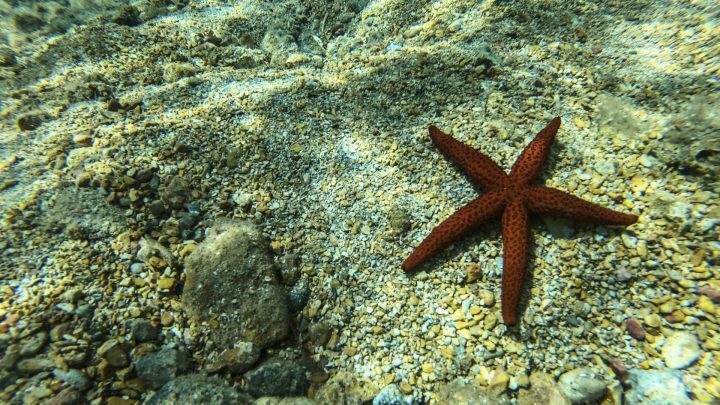 Then we cross the small archipelago of Lefkada towards the uninhabited islet of Thilia for snorkelling and a delicious picnic. 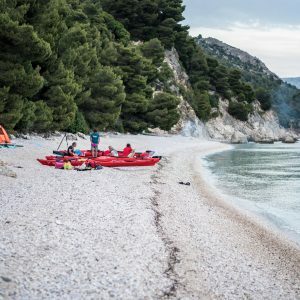 Then, we ride our kayaks to the picturesque beach of Agios Ioannis of Meganisi island where we set up our camp and prepare together a bbq and delicious dishes with local traditional products. We enjoy our breakfast on the beach of Ag. Ioannis and departure for the Prince’s islands of Lefkada. 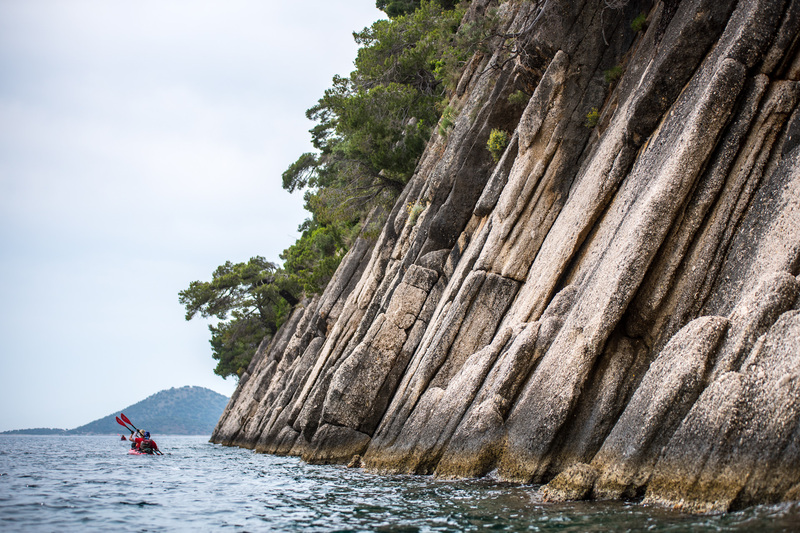 We paddle along the lush western coast of the island to reach the famous islets of Skorpios and Madouri. 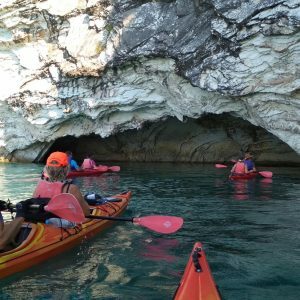 We tour around the islets, explore the seabed of the area by snorkelling, and enjoy a light Mediterranean meal on the beach. 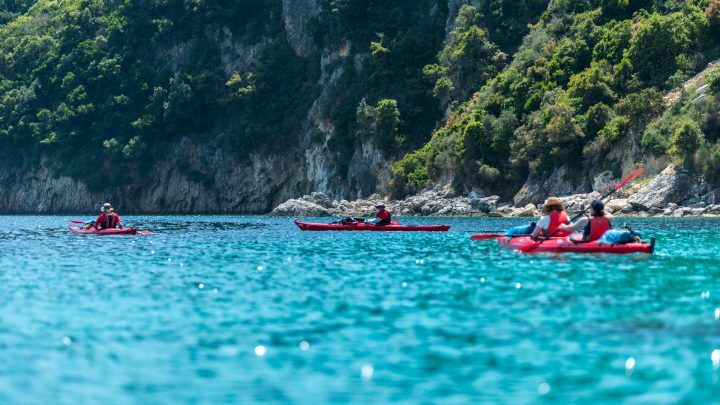 Then we return to the picturesque Meganisi and leave our kayaks at the harbor of Spilia to visit the traditional village of Spartochori Island overlooking the natural beauty of the complex. 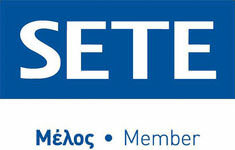 We return to Spilia for a tasty dinner at a traditional tavern and overnight in rooms already reserved for us. 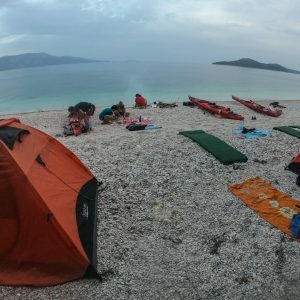 After breakfast, we prepare our equipment and ride our kayaks from Spilia to the north-east coastline of Meganisi Island with the ‘fjords-like’ peninsulas. 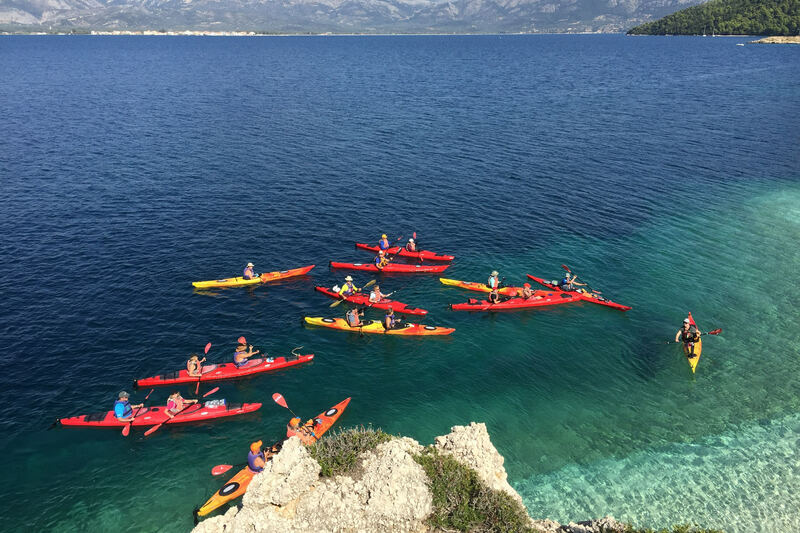 Today’s trip is relatively short and relaxing with many stops for snorkelling, swimming and includes, of course, all sorts of local delicacies to enjoy along the way. 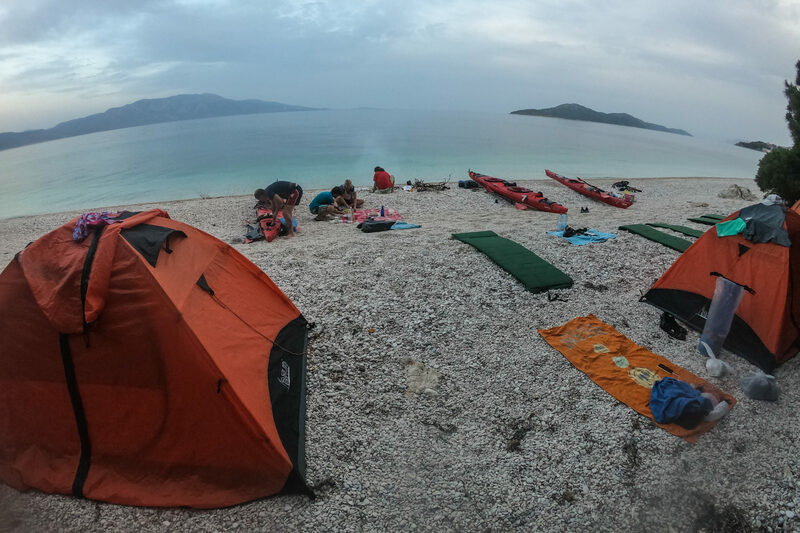 The goal of the day is to stay in shape and at the same time save energy for the following four days in Taphians’ land, the so called Tilevoides’ islands. Today’s final destination is the Limonari bay or some other sheltered natural harbour of the eastern coast that will accommodate us for one night in tents. Some fresh fragrant coffee, a light but restorative breakfast, a dive in the crystal waters of the Ionian Sea and off for the next Sea-Paradise of Ionian Sea, Kalamos Island! High peaks and steep slopes that plunge steeply into the deep blue of the archipelagos, white pebble beaches covered with pine trees, and an atmosphere filled with the sun and the saltiness of the Mediterranean Sea create the fascinating landscape of the island. 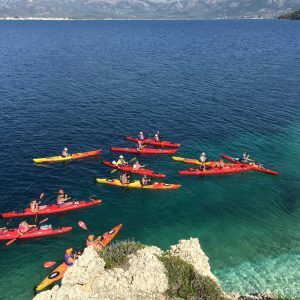 Today we ride our kayaks on the northern and eastern coastline of Kalamos, with stops for snorkelling and swimming, until the homonymous traditional settlement on the island. In the evening we enjoy the hospitality of the locals and the distinct taste of traditional delicacies with ouzo and more. Overnight in rooms. 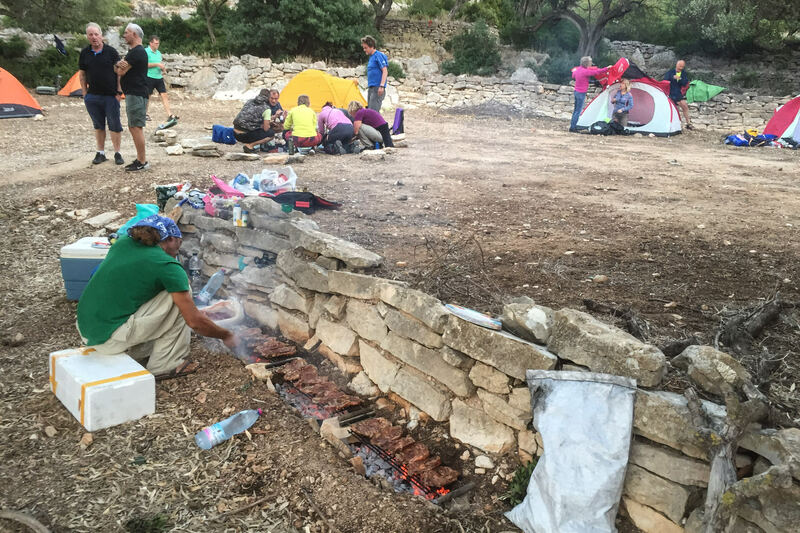 Early breakfast and departure from the heavenly Kalamos Island and its people cordial hospitality. 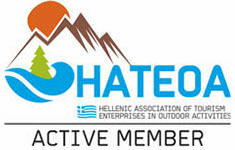 We head to the ‘hermit’ of Ionian Sea, Kastos Island. 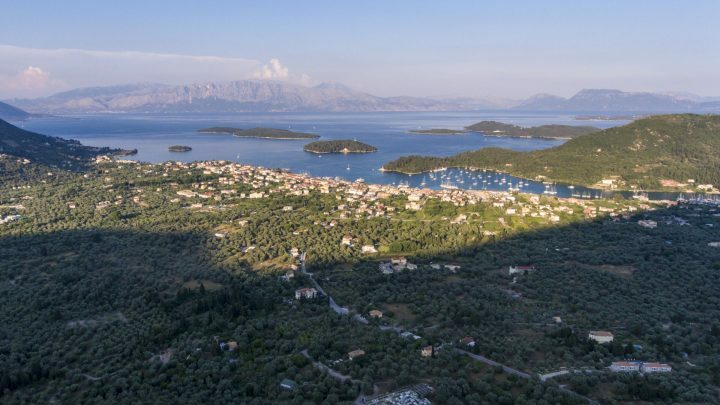 With only one settlement in the bosom of the island, Kastos has managed to preserve the ambience of a post era that combines the local tradition with the tranquility and remoteness that most of its guests seek. 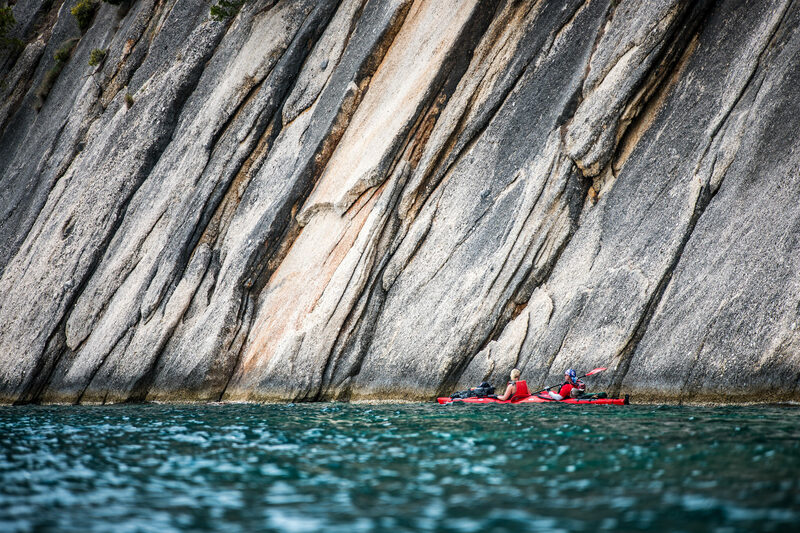 With our kayaks we tour the northern and western coastline of the island. 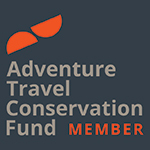 We explore the unique fishing grounds and the sea caves of the island, and rest in picturesque remote beaches under the shade of the trees. Then we visit the homonymous settlement of the island and continue south to the beach where we set up our camp. 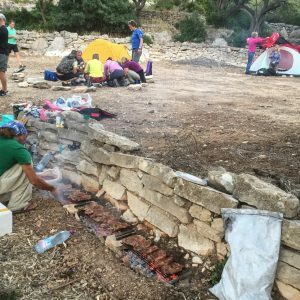 Bbq and overnight in tents. A refreshing dive in the calm waters of Kastos Island and departure for one of the biggest and most beautiful underwater caves in the world, Papanikolis’ Sea Cave. Equip yourself with courage and patience for the largest crossing of this multi-day trip. 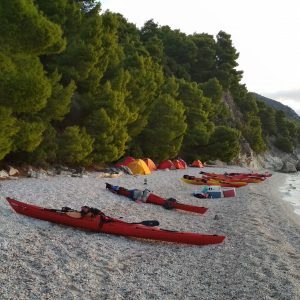 With our kayaks we engage in successive crossings among Tilevoides Islands starting from Kastos with a stop in Kalamos, to finally reach southwestern Meganisi and explore the area around Cape ‘Kefali’ (Head). 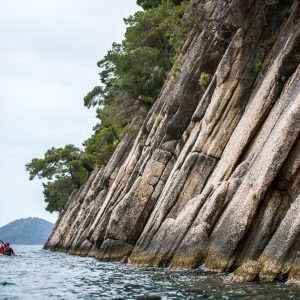 We explore the magnificent Papanikolis’, Giovanis’ and Demon’s Sea Caves on west coast of Meganisi Island. 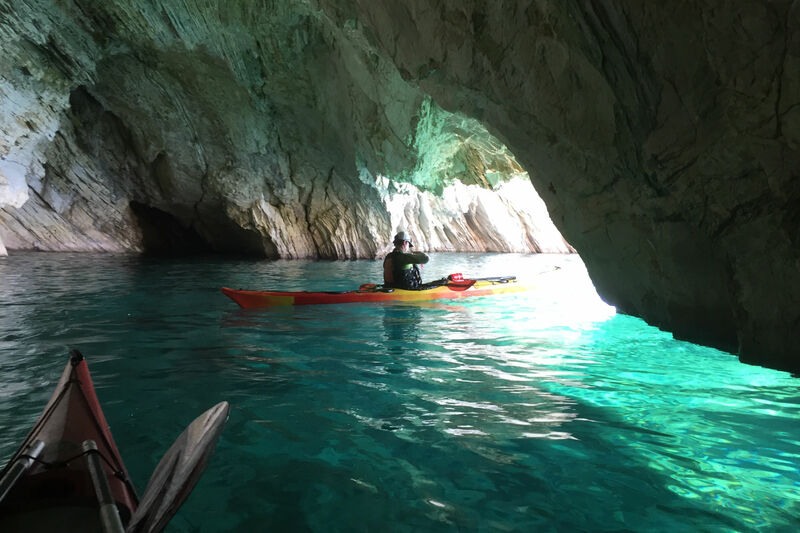 We enjoy the splendour of nature by exploring the interior of the sea caves with the impressive stalactites and the unique colourful waters from the playful sun-light. Final destination for today is Agios Ioannis beach for a farewell beach party with the whole group. Overnight in tents.